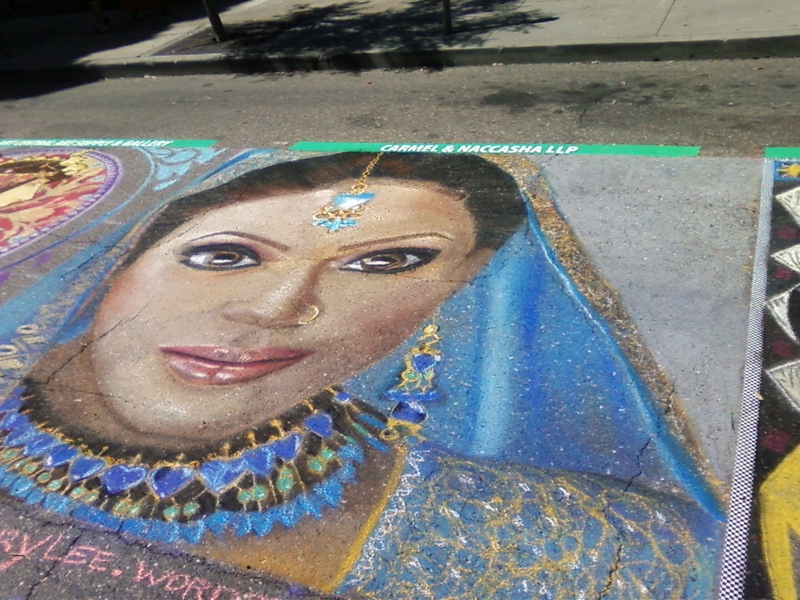 I did this June 25 and 26 in San Rafael, Ca. I recently had a cat adopt me and decided to run with that theme. This was 10 feet by 10 feet. 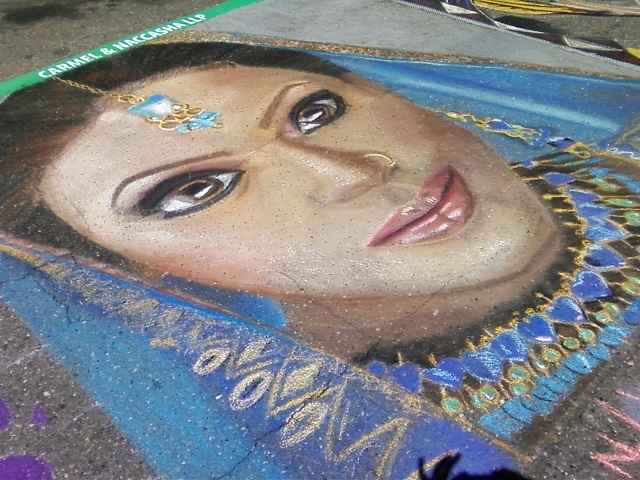 Saturday and Sunday, I did another street painting festival in San Luis Obispo, CA. Here are the results. She was 10ft x 10 ft. I started Saturday morning about 9 and “finished” Sunday about 2pm. I did take time to eat and sleep. 🙂 Enjoy!